Enhance the appearance of any special occasion with a beautiful flower arrangement from AngeLina's Local Florist. 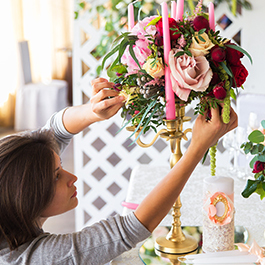 Throughout the St. Petersburg, Florida, area, we provide flowers for weddings and special events. Everything we use is local and used locally. Since we specialize in arranging decorations for events, we have competitive pricing for our services. All of our floral packages are customized to your request. Count on us as your florist to make your flower bouquet and arrangements to your style and taste, not ours. Nothing says “You’re special to me” like giving the gift of flowers, and the only thing better than a beautiful bouquet is one you can wear. AngeLina’s Local Florist is your source for corsages in St. Petersburg, FL, that will make any event and any person feel extra special. We offer packages for not only corsages but also bouquets and boutonnieres as well. All of them are customized depending on how many you need. Boutonnieres and corsages are hand tied, and bouquets are gathered or cascaded at your request. Giving floral gifts, especially corsages, is meant to be a sincere gesture, and that’s why we use only fresh flowers, and no silk or plastic artificial flowers. Everything we offer is locally grown and tailored to your request. 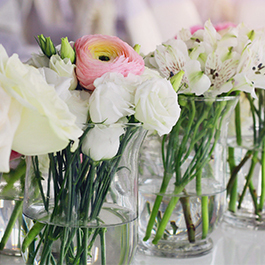 At our flower shop, we believe in arranging your order to your style and taste. You’ll find dozens of different varieties in every color you could want for any occasion. Just as a picture says 1,000 words, so does our experience. At AngeLina's Local Florist, we put 110% into everything we do. She has more than 15 years of experience in the industry and has done a little bit of everything as a florist. Kristina went to college and earned her degrees in marketing and design. 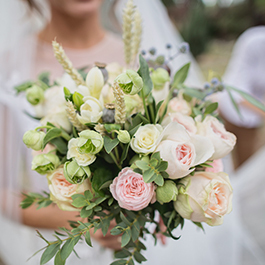 She eventually moved to Tierra Verde, Florida, to open a shop that specializes in wedding and event flowers. Count on her experience to transform your events and special occasions.